1. The hardness of the material. The harder the material is, the more difficult it is to break, and the more severe the wear on the equipment. The speed of breaking is slow, of course, the breaking ability is small. This requires us to choose materials moderate. 2. When the humidity of the material, that is, the moisture contained in the material is large, the material is easy to adhere in the counter-breaking, and it is easy to block during the feeding process, resulting in a decrease in the crushing capacity. To solve this problem, we must first strictly control the humidity of the material when selecting materials. If the humidity of the selected material is too large, the sunshine or air drying method can be used to reduce the percentage of moisture in the material. 3. After the crushing, the fineness of the material and the fineness requirement are high, that is, the more broken the material is required, the smaller the crushing ability is. 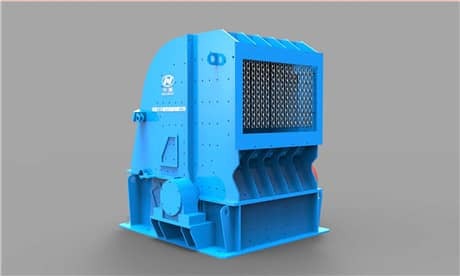 In this respect, depending on the specific requirements of the concentrator, if there is no special requirement, the fineness of the material is generally set to medium and fine. 4. The composition of the material, the more fine powder contained in the material before the crushing, the more the crushing is affected, because these fine powders are easy to adhere and affect the transportation. Therefore, materials with a high content of fine powder should be sieved once in advance. The fine powder should be screened out from the material as much as possible to avoid affecting the normal work of counterattack. 5. The viscosity of the material. That is, the greater the viscosity of the material, the easier it is to adhere. The material with high viscosity will adhere to the inner wall of the crushing chamber when it is broken. If it cannot be cleaned in time, it will seriously affect the working efficiency of counter-attacking, and it will also affect the normal work of counter-breaking. Therefore, when selecting materials, it must be noted that the viscosity of the material should not be too large. 6. The better the wear resistance of the crushing parts (hammer head, jaw plate) of the crushing equipment, the greater the crushing ability. If it is not wear-resistant, it will affect the crushing capacity. In this regard, it is necessary to regularly repair the broken pieces that are broken. If it is damaged or damaged, it should be replaced in time to avoid affecting the normal work of counterattack.